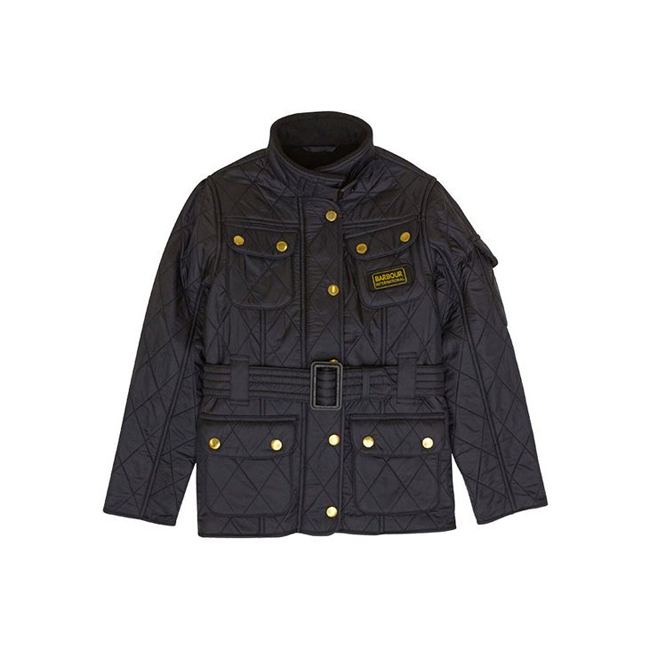 The girls' International Quilt is a biker-style quilted jacket from the Barbour International collection. Warm and versatile, it's crafted in Barbour's signature diamond-quilted outer and boasts a super-insulating fleece lining that feels incredibly soft against the skin. The funnel collar with neck strap offers additional warmth and protection while creating the classic biker look, along with a waist belt, four stud-fastening outer pockets, a sleeve pocket and the famous black and yellow Barbour International badge. Perfect for everyday winter wear, it's also machine washable for added convenience.